Research conducted by ‘The Guardian’ newspaper, with the top 100 law firms in England & Wales some years ago showed that in at least 50% of divorce cases, a private investigator had been retained. There are no numbers available for Germany. We fully understand that divorce is extraordinarily stressful, and that sensitivity towards our client and their needs is as important as exercising our usual discretion. 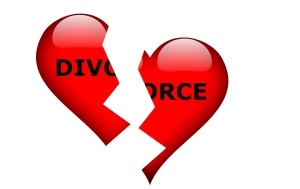 Our matrimonial and divorce team are highly experienced and trained. They can competently manage any type of investigation that relates to a matrimonial or divorce issue. We have successfully located hidden assets that have been disguised or simply not declared to the Courts. We can prove cases of infidelity and unreasonable behaviour, which can be the key to winning a fair settlement, and in some cases, assist with child custody disputes as well. In court cases it is essential that your investigator understands civil procedure rules governing evidence, or else your investigation will have been all for nothing. At JMMPI, we have the experience and the all important know-how to produce compelling evidence for you to use either in confronting your spouse, or for the Courts’ to consider. Whether you need surveillance footage of a cheating spouse, their hidden assets traced, or to locate an absconded spouse, and serve them with legal papers, we are here to assist you. JMMPI are frequently briefed by law firms engaged to handle disputed divorce cases. The most hotly disputed area of divorce seems to be in the financial settlement, usually arising from allegations of non-disclosure. Our financial investigator and forensic accountants are able to assist lawyers in establishing the true value of a divorce settlement when it has been disputed. This service is particularly useful when a party to a settled divorce applies for a variation to the order, because of information received after settlement that was not declared in the original proceedings, that would have affected the amount of the settlement, or because a party wishes to reduce payments of maintenance because of a claimed change in circumstances. Our private investigators will be able to obtain evidence concerning co-habitation, work status, non-disclosure of assets, and lifestyle to demonstrate to the Court whether or not there has been a failure to disclose important facts that could influence the outcome of the divorce. Our surveillance teams can also provide evidence of unreasonable behaviour, such as substance or alcohol abuse, domestic violence and infidelity.